The main events, however, are the “Jazz on the Waterfront,” “Jazz in the East” and the “International Night,” which is the headline event featuring the top tier artistes coming in for the main festival shows as well as the peripheral events taking place during the week leading into the festival. News of the inclusion of soul songstress, Toni Braxton created quite a lot of excitement in Tobago as well as here in Trinidad. Considered an iconic artiste on the rhythm and blues / soul circuit in the United States and globally, Braxton is expected to deliver an awesome performance alongside her band that comprises several respected session musicians. From her first single, “Breathe Again,” produced by Kenny “Babyface” Edmunds, Braxton instantly became a household name because of her deep alto 3 vocal range, The singer would go on to release over 20 certified Billboard hit singles among them, "You Mean The World To Me" (1993), "Why Should I Care" (1996), "Trippin' (That's The Way Love Works)" (2005), "Love Shoulda Brought You Home" (1992), “Seven Whole Days” (1993), "Another Sad Love Song" (1993) and "Un-Break My Heart" (1996). 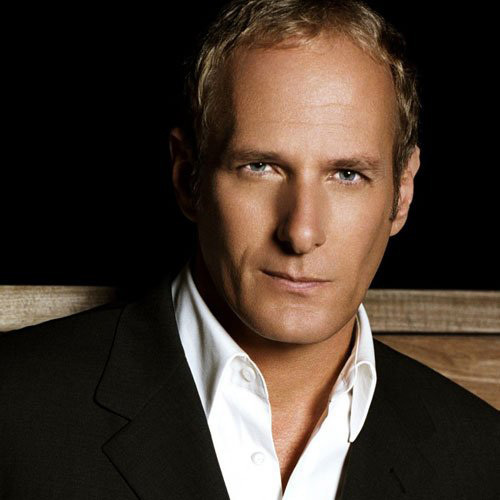 Songwriter turned singer, Michael Bolton also penned a space for himself in music history during the 1990’s with his collective of covers of classic soul and pop songs along with his originals. which his loyal legion of fans have never seemed to mind. But, the singer also knows a winning original lyric when he hears one -- or writes one, as these 10 essential performances that Bolton has made all his own prove. One of the members of the iconic I-Threes that provided backing vocals for Bob Marley, Marcia Griffiths is reggae music royalty. Griffiths scored her first major hit with the 1967 single "Feel Like Jumping," a rocksteady number that charted in Jamaica and Great Britain, and she would also enjoy chart success with the tunes "Melody Life" and "Truly" before cutting her first album, Marcia Griffiths at Studio One. In 1969, Griffiths teamed up with Bob Andy of the Paragons as a duet partner, and when she moved from Studio One to the Trojan-affiliated Harry J label (run by musician and producer Harry Johnson), Andy followed suit, and their interpretation of Nina Simone's "Young, Gifted and Black" became a major international hit in 1970. In 1974, after Peter Tosh and Bunny Livingston left the Wailers, Bob Marley wanted to fill out the vocal sound of the group, and added a trio of female singers to the Wailers' line-up. Griffiths became a member of the I-Threes alongside Rita Marley and Judy Mowatt and after making their debut with Marley on the ground breaking album Natty Dread, they remained an integral part of the Wailers on-stage and in the studio until Marley's death in 1981. Griffiths whose single, “Electric Boogie (Slide)” is a must play at weddings and other gatherings throughout the Caribbean and elsewhere, will perform at the “Jazz in the East,” Speyside on April 27. 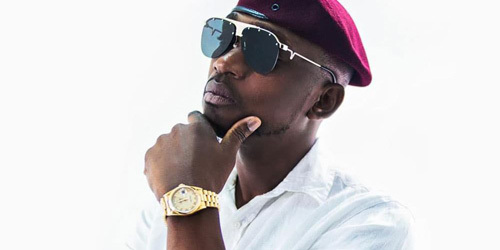 Joining the Queen of reggae will be fellow Jamaican acts Busy Signal and Duane Stephenson, both of whom have impressive portfolios of hits respectively. This show will also feature the band Imij & Company, Olatunji Yearwood and Turner. From Trinidad comes jazz singer Vaughnette Bigford who is one of the most sought after artistes of that genre today. Since her debut in 2004, Bigford’s's rich, earthy jazz vocals have been making audiences sit up and take notice…and she's been developing quite a fan club, too. She is recognised for her haunting delivery of some of the most timeless jazz standards and confesses that when she discovered jazz, she knew she had found a “home”. 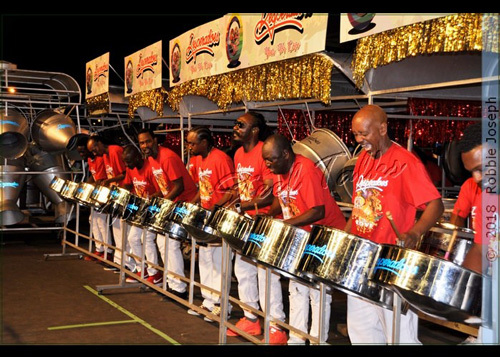 Hailing from LaBrea, Bigford's professional entry onto the jazz circuit came at the 2004 Steelpan & Jazz Festival (formerly Pan Royale) as guest vocalist with Len “Boogsie” Sharpe and Phase II Pan Groove. 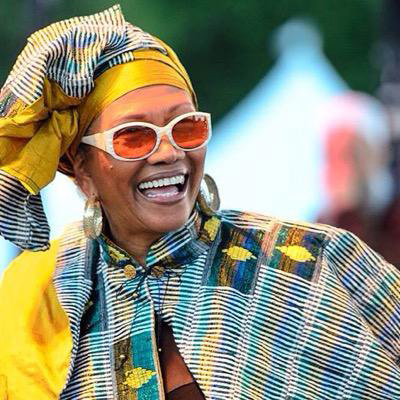 For three consecutive years she graced the stage at the San Fernando Jazz Festival, appearing with Carlton “Zanda” Alexander's Coalpot Band. Also at that Festival, audiences would have been treated to her leading the chorus line for world-renowned Botwanan flugel horn player, Socca Moruakgomo. For more information, one can contact, Tobago Festivals Commission on Facebook, Instagram and 639 4441.